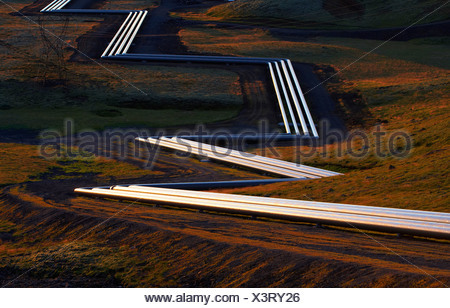 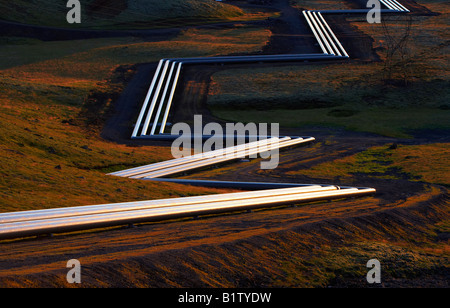 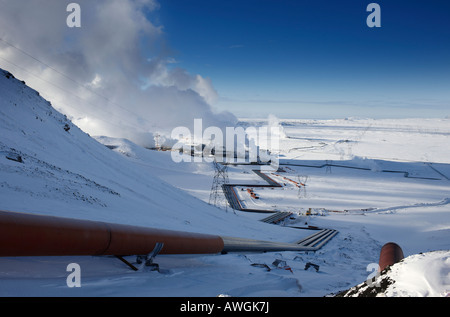 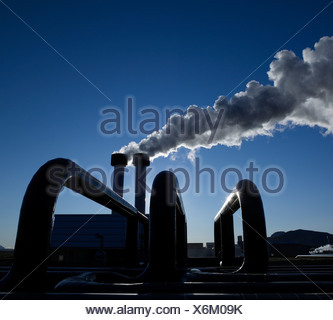 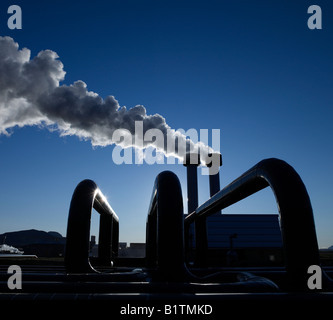 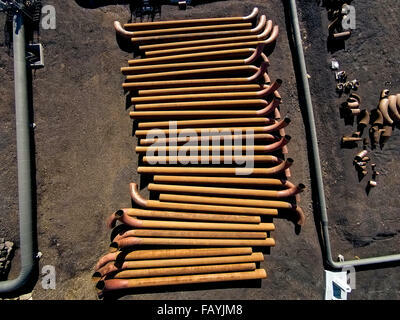 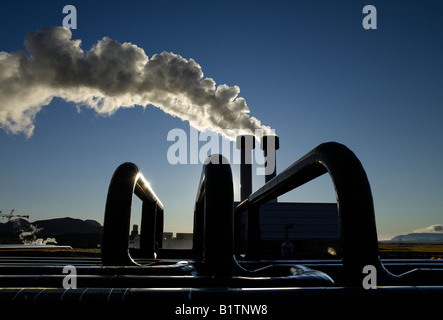 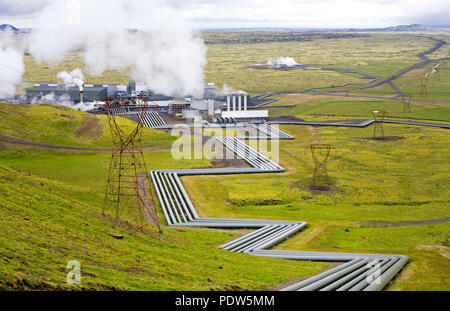 Hot water is pumped through pipes for geothermal energy. 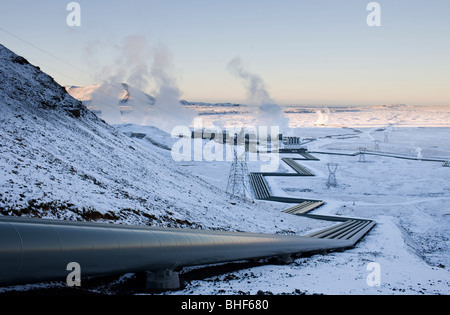 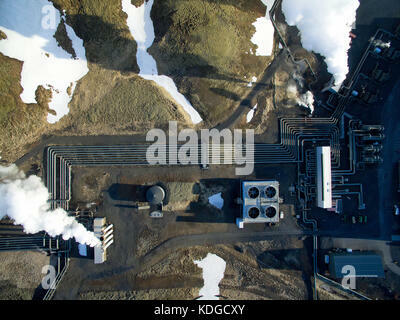 The Hellisheidi Power Plant, to the south of the Hengill volcano is close to Reykjavik. 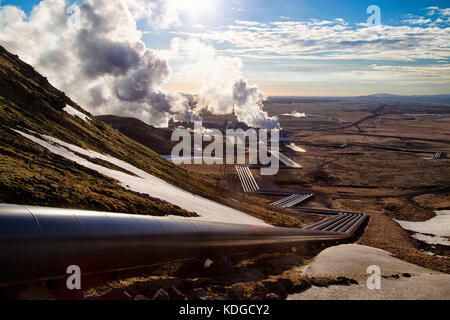 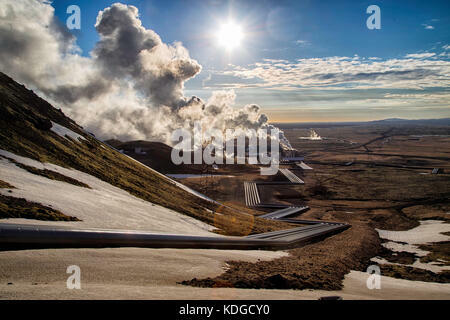 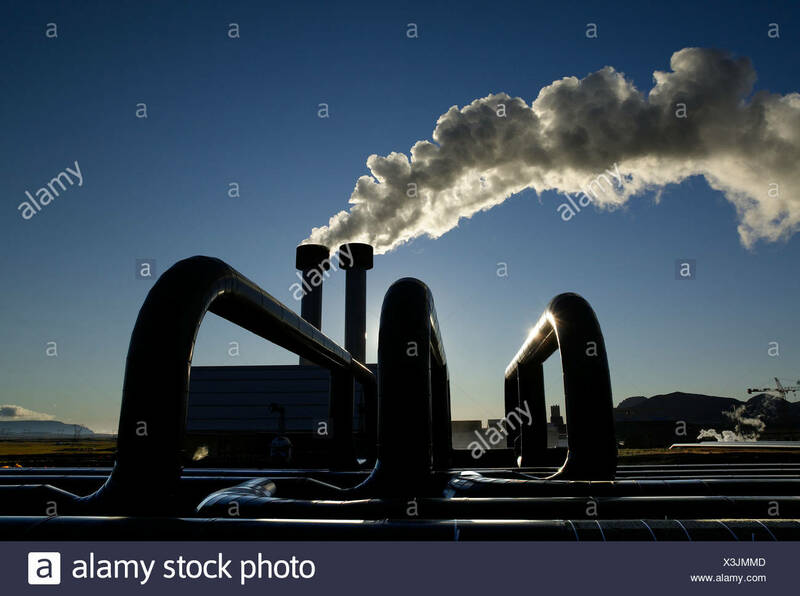 Due to the special geological situation in Iceland with the high concentration of volcanoes, geothermal energy is very often used for heating and production of electricity.